I was drawn to photography from an early age. My first camera was a Vivitar 110 film camera and I took great joy in taking photos of everything from vacations to entire rolls of film of the family cat. I got my first digital camera in 2001 as a free gift upon convincing my parents to switch from AOL dial-up Internet to Earthlink. Earthlink mailed us a Xirlink DSCPro 640×480 digital camera with 2MB of internal memory, which could hold about 30 pictures. There was no memory card expansion slot, and you could transfer pictures to your computer with the included USB/Serial cable. I got a major upgrade on Christmas Day 2003 when my mom got me a Samsung Digimax 420 digital camera. It had 4 megapixels of resolution and could even record short video clips! That was my main camera for years and I absolutely loved it. Finally in 2008, I decided to upgrade to a grown up camera. 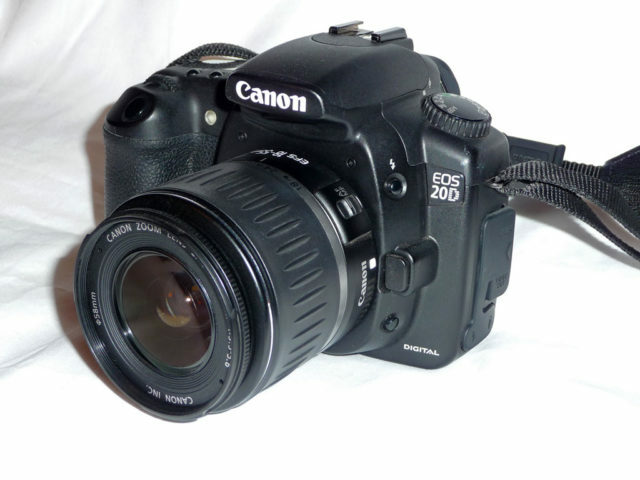 I purchased a used Canon 20D digital SLR camera with an 18-55mm lens and a 1GB CompactFlash card on eBay for $560. It was a big chunk of change for a four year-old camera, but I was thrilled with the image quality. At last, I had in my possession a camera with full manual controls! In 2009, my friend was dating this girl who had been given a telescope as a gift from her father. 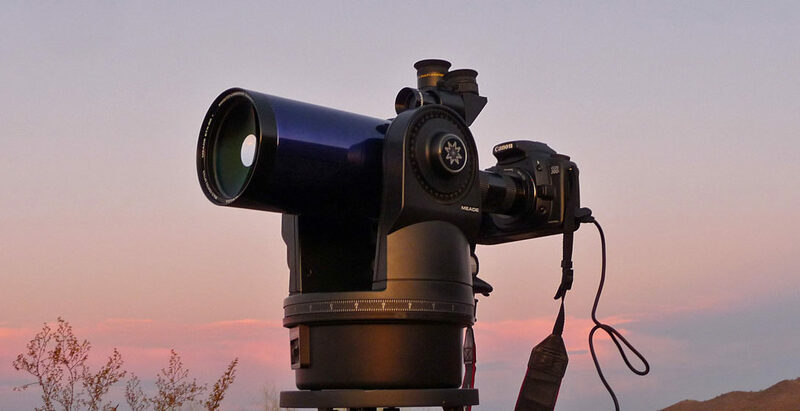 The father had bought a Meade ETX-90 telescope and every single accessory they offered. 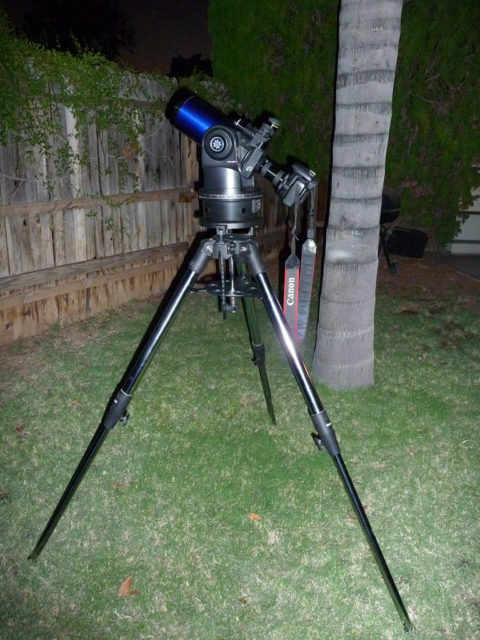 It had the heavy duty Deluxe Field Tripod with a carrying bag, the AutoStar Guide – a handheld computer that could automatically navigate to thousands of celestial objects, and the Lunar Planetary Imager (LPI), which was basically a digital camera sensor that could connect the telescope to a computer for taking images of the sky. The thing was, she had no interest in astronomy and the telescope was sitting around gathering dust. 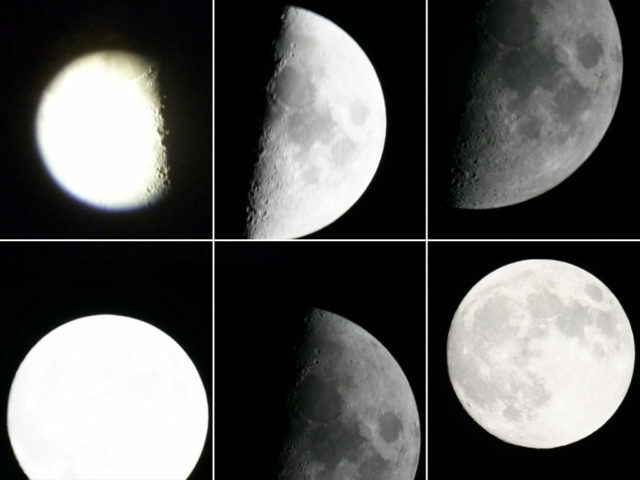 I became very interested when I learned that my Canon 20D could be connected to the telescope with an adapter. I asked, and they had no problem letting me borrow it for a couple of weeks. The first thing I did was ordered a Meade #64 T-adapter and a Zhumell T-ring mount for Canon EOS cameras from telescopes.com. The total for both pieces was $46.95 plus $10 dollars for shipping. You might say I was very optimistic about taking some amazing photos of the solar system. The adapters arrived in a few days and I was ready to get cracking. The Zhumell ring fit perfectly on my Canon 20D. The ETX-90 has a focal length of 1250mm, which is more impressive than any zoom lens I know about. I already had a remote timer that I purchased on eBay when I first got the camera in 2008. The Aputure DSLR remote timer (awful name, I know!) is a $40 dollar Chinese-made knock off of the real Canon TC-80N3 remote timer. It does the same thing as the Canon timer for about $60 dollars less. Also, it runs on two “AAA” batteries rather than the expensive lithium watch batteries found in the Canon timer. With all of the equipment in my hands, I was ready to start photographing the night sky – or so I thought! 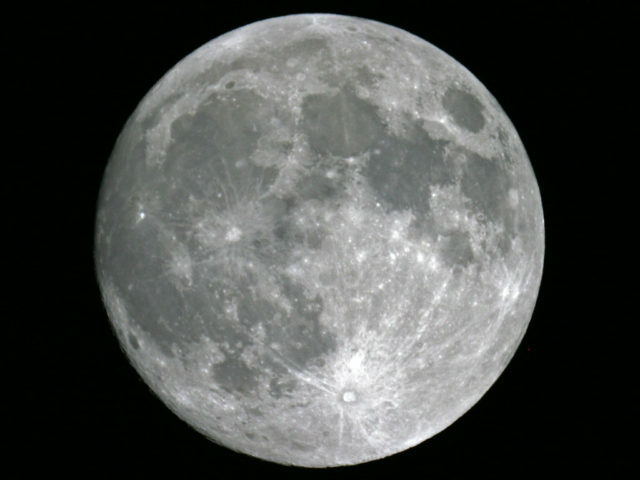 The first few times I tried using the telescope, I did not have any luck getting it aligned. After reading the directions and watching some tutorial videos on the Meade website, I was still not able to get the telescope to align using the AutoStar Guide! Eventually, I gave up on the alignment and decided to use the telescope manually. Over the next several nights, I experimented with mounting the camera and taking photos. The weight of the camera made it difficult to keep the telescope pointed where I wanted it. To support the camera’s weight, I wedged my wallet and cell phone underneath the barrel of the telescope to keep it level. Getting the correct exposure and ISO settings took some trial and error. The slightest vibrations on the ground made the shots come out blurry. It was difficult to focus the shot while peering through the camera’s tiny viewfinder. The 20D does not have the ability to do a Live Preview on the LCD screen, which Canon debuted on the Rebel T1i DSLR. It is incredibly easy to take a bad photo of the moon. After a lot of bad shots, I turned to the Internet for some tips on photographing the moon. As it turns out, I had completely forgotten about the mirror lockup feature on my camera! Mirror lockup can be enabled as a custom function on the Canon 20D. With that turned on, I suddenly had much better results! At last I was able to get some decent shots of the moon, properly exposed and in focus! 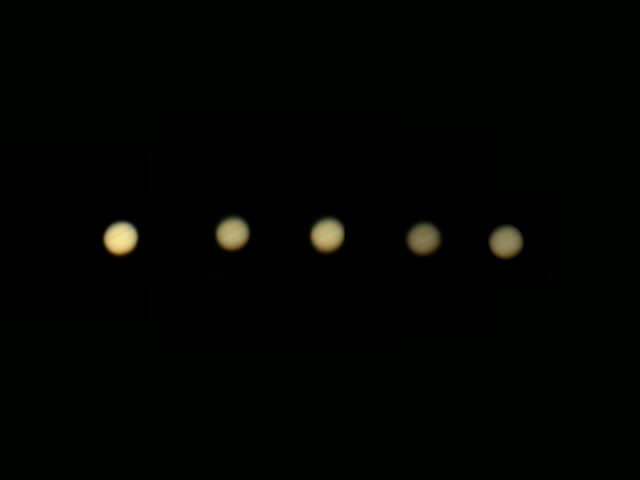 I even managed to get a couple of fuzzy shots of Jupiter from my backyard. 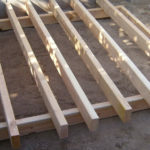 For an amateur with no previous experience, I was quite impressed with myself. I used some photo editing software to bring out the finer details in the shots. My experiences with astrophotography have been hit and miss so far. I’ve had no luck with the AutoStar Guide, the Meade LPI sensor, telescope alignment, and controlling the telescope with the Meade software via Serial Cable. I also gave up on several “focus assist” programs that download images from your Canon camera to a laptop at high speeds. However, I was able to get some satisfactory shots by just messing around. If you are thinking about getting into astrophotography, my advice is to remain patient and bg persistent if you want to succeed!